Over the last couple of months I think I’ve hammered the message that not only science, but even our very basic sensory experience of the world, is inseparable from the world of mind. This ties into the “personal knowledge” concept of Michael Polanyi, the information-based metaphysics of William Dembski and the mind-based one of Arthur Eddington. It relates to the holistic approach to science of Johann Wolfgang von Goethe and his followers. And I’ve even suggested that the world of reality we share with all other life-forms has the character of a common symbolic language giving meaning to an otherwise rather chaotic universe, and so raising the question of whether that symbolic system should be seen as the greater reality, for which the formless “material world” is a mere carrier-wave. I may have done the topic to death (though I hope it’s been thought-provoking), but I want to wind it up for the moment (maybe!) by pointing out how many respected scientists have thought along similar lines. My source is an initial skim-reading of Paul Feyerabend’s Realism, Rationalism and Scientific Method. Feyerabend is regarded as something of a nihilist in the philosophy of science through his best-known work Against Method. But that needn’t concern us here as I’m not seeking to endorse his position on things, but have merely purloined some useful quotations he has recorded, to show that any simplistic idea of science as objective truth sitting in judgement on all other truths is unworthy of a faithful Christian approach to knowledge. It’s unworthy of non-Christians too, but that’s their problem, not mine. 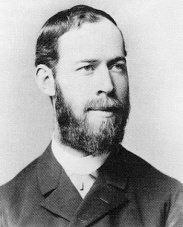 [T]he lack of clarity in the principles of mechanics may be explained by the fact that one did not at once introduce hypothetical mental pictures but tried to start from experience. One then tried to conceal the transition to hypotheses or even to find some sham proof to the effect that. . . no hypotheses had been used, creating unclarity by this very step. 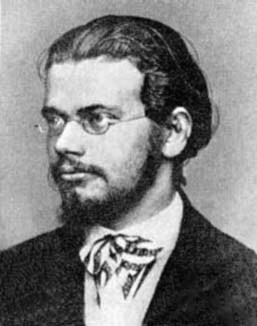 Boltzmann adds that the use of partial differential equations (in the phenomenological approach to thermodynamics) instead of mechanical models does not eliminate pictures but simply introduces pictures of a different kind. Hertz made it quite clear to physicists (though philosophers most likely anticipated him long ago) that a theory cannot be an objective thing that really agrees with nature [etwas mit der Natur sich wirklich Deckendes] but must rather be regarded as merely a mental picture of phenomena that is related to them in the same way in which a symbol is related to the thing symbolised. It follows that it cannot be our task to find an absolutely correct theory – all we can do is to find a picture that represents phenomena in as simple a way as possible. The differential equations of the phenomenological approach are obviously nothing but rules for the forming of numbers and for connecting them with other numbers and geometrical concepts which in turn are nothing but thought pictures [Gedankenbilder] for the presentation of phenomena. Exactly the same applies to the atomic conceptions [Vorstellungen der Atomistik] so that I cannot see any difference in this respect. Out of the multitude of our sense experiences we take, mentally and arbitrarily, certain repeatedly occurring complexes of sense impressions… and correlate to them a concept – the concept of a bodily object. Considered logically this concept is not identical with the totality of sense impressions referred to; but it is a free creation of the human (animal) mind. On the other hand, this concept owes its meaning and its justification exclusively to the totality of the sense impressions we associate with it. The second step is to be found in the fact that, in our thinking (which determines our expectations), we attribute to this concept of a bodily object a significance which is to a high degree independent of the sense impressions which originally gave rise to it. This is what we mean when we attribute to the bodily object a ‘real existence’. 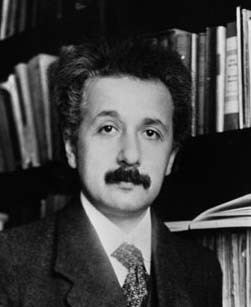 It seems that Einstein is endorsing the idea that perception is a selective symbolic abstraction and interpretation of “sense impression”, and that our thought, a further symbolic abstraction “independent of sense impressions”, not only colours our understanding but determines what we perceive by our senses. There seems a deep sense of irony in his conclusion that this is what we mean when we say something has “real existence”: it only becomes real when the mind has performed this two-stage process of distortion! Mathematical formulae may help us to “trace out the consequences of given laws” but at the expense of “losing sight of the phenomena to be explained”. Also “we can never obtain more extended views of the connections of the subject”. “The changes of direction”, writes Maxwell on this point, which light undergoes in passing from one medium to another, are identical with the deviations of the path of a particle in moving through a narrow space in which intense forces act. This analogy, which extends only to the direction and not to the velocity of the motion, was long believed to be the true explanation of the refraction of light; and we still find it useful in the solution of certain problems, in which we employ it without danger, as an artificial method. The other analogy, between light and the vibrations of an elastic medium, extends much farther out, though its importance and fruitfulness cannot be overestimated, we must recollect that it is founded only on a resemblance in form between the laws of light and those of vibrations. By stripping it of its physical dress and reducing it to a theory of “transverse alternations” we might obtain a system of truth strictly founded on observation, but probably deficient both in the vividness of its conceptions and the fertility of its method. The bottom line of the reflections of these great men of science, who unlike so many scientists nowadays were aware of the philosophical foundations of their work, seems to be that the whole process of science, in going beyond everyday and commonsense explanations of phenomena, is merely the representation of one symbolic system of information by some other symbolic system. This is no problem whatsoever (since that is what all human thought does) so long as we remember we have done it for some useful, but restricted, purpose rather than to discover the foundational truth of things. Both the scientist and the poet may enthuse that their way of seeing is the deepest truth, but the wisest of both will realise that such partisanship is as much a product of the human mind as the means by which they pursue their own aspects of truth. That last quote from Maxwell illustrates something interesting. There seem to be multiple levels of abstraction for any given physical theory, like Maxwell’s theory of electromagnetism. The first is the intuitive model or mental picture one uses to visualize and work with the theory. Maxwell invented a complex model of imaginary gears to bring his equations to life. Quantum mechanics also has its models. These models always end up being over-simplistic, almost by definition, because our “intuition” evolved to deal with a very limited scale of reality. Maxwell’s gear model is a good example of how limited and parochial these turn out to be, especially in retrospect. These models should never be confused with reality. But there is another level: the bare equations. Maxwell’s equations (though not his intuitive model) contained within them the special theory of relativity, though Maxwell of course never knew that. These equations captured something very deep about the structure of reality. We shouldn’t dare to imagine that the equations are literally and exactly true–in fact we already know that quantum electrodynamics captures reality even better– but they are not just a symbolic language describing observations. Their accuracy extends far beyond the set of observations that were used to generate them. In the case of quantum electrodynamics or relativity theory, these accurate predictions stretch to the very limits of the observable universe (limits that now extend far beyond the observations that the inventors of those theories could access). By “accurate”, I mean that theory and observation agree to something like eight or more decimal places…..So I think it is fair to say that these equations (not necessarily the models we construct to understand them) do at least partially capture, in some abstract way, the structure of reality. 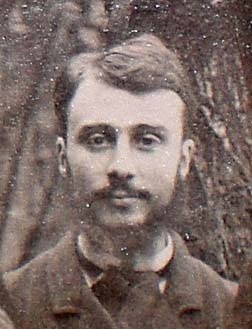 The first could certainly tend towards increasing accuracy, but (he said) at the expense of abstracting rather than representing reality, and with “lack of heuristic potential.” (He seems not to have seen their restriction to the subset of mathematical aspects of reality that others have perceived, perhaps assuming like his predecessors that reality was fundamentally mathematical). Nevertheless, maybe a graphic and extreme representation of his idea about the scientific drawbacks of maths was Douglas Adams’ joke that the “answer to life, the universe and everything” is 42. The second were “physical theories”, whose danger is in directing our thoughts according to models that may be hard to check. He had in mind things like particle and wave theories of light, but one could also include entities like “the gene”, which now seems to be developing an analogous status to “atoms as bodies” with the advent of quantum theory. Maxwell hoped some day to find such a real physical theory. Relativity and quantum theory, of course, would seem to destroy that hope. Jon, this is a misconception you repeat frequently. Relativity and QM make the most accurate predictions of any theories man has ever produced. The phenomena follow the hypothesis in every detail, to the level we have been able to test them. The lesson of those two theories is only that reality is very different from what our minds/brains have evolved to construct. Science is a means to get beyond our simplistic intuitions. Sometimes it seems to me that religion is the opposite, giving in to our intuitions and wishes without sufficient skepticism. Lou, you show by this you’ve understood neither me nor Maxwell. 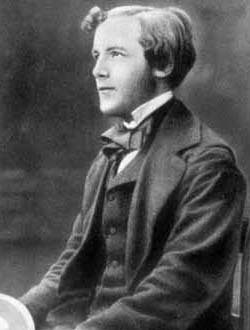 By “physical theory” Maxwell meant a non-mathematical model that exactly fits the phenomena, hence his references to “particle” and “wave” theory. There is no such model for quantum theory, or relativity, and cannot be. Once more, the symbolism of maths has to stand for all kinds of physical symbolism, and true insight into the actuality is abstracted along the way. As Feinmann said, if anyone tells you he understands quantum theory, he’s lying. If you say so, I’ll have to accept that I haven’t understood you. I’ll admit up front that I also don’t understand what you just said: ” Once more, the symbolism of maths has to stand for all kinds of physical symbolism, and true insight into the actuality is abstracted along the way.” I’m arguing that the case of Maxwell’s equations shows very well the futility of making analogies based on intuitive macroscopic experience. You seem to think this shows a lack of true insight into the nature of physical reality. I think it only shows the expected limitations of our evolved intuition. Relativity and QM are not less insightful for the lack of intuitive models. On the contrary it is exciting that we can get past the limitations of our intuition. A simple comment to hopefully correct a major misconception – ‘there ain’t a thing out there that is Mr Science that tells us anything’ and indeed ‘there ain’t such a thing as Mr Religion telling us or thinking for us’. These terms point to human activity which includes communicating amongst humans beings, which includes belief and disbelief in relation to such language (call it symbolic) activities that are totally human constructs. This too is reality, but that of human intent and human agency.